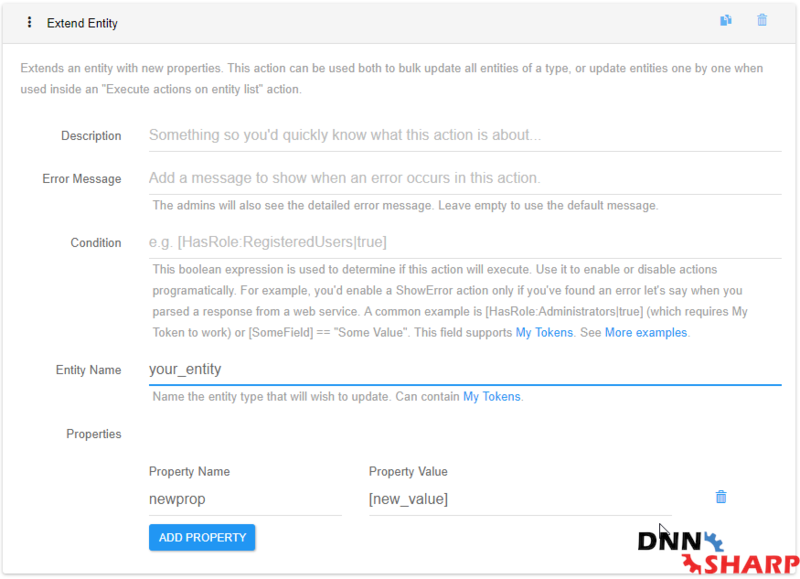 With the help of this action you will be able to append(add new) properties to an existing entity. Entity Name. Provide the name of the entity you would like to modify (add new properties to). Properties. select which properties(and corresponding values) should be added to the existing entity.